I was contacted by Sugar + Style a few weeks ago asking me to join their blogging program (you can join up here) so naturally after I signed up I had a little browse of their items and they have a great selection! No matter what your style is you’ll be able to find at least one item to match your style! The mastermind behind Sugar + Style is Nhuc, (follow her on Twitter and Instagram) she started up Sugar + Style as an online boutique just as a hobby which soon turned into a full time job. She did all the work from selecting the stock all the way up to working out the accounts. Two years on, Nhuc is looking to expand her store further by opening a pop-up store in Westfield over the Christmas holidays but that cannot happen without the funding! Recently Nhuc and her assistant, Sophie have started a campaign on wearethemillion.com (check out their campaign here) where they are hoping to raise £1500 to make that dream come true! This is here you come in, if you have an odd £5 or more that you wont miss then please pop it into their fund, they have some fantastic offers to say thank you depending on how much you give! I will be adding some of my own money into their business once payday gets around because I think they are a fantastic business and I can see them going far! Here are three items that caught my eye! Up until recently I was never much of a dress kind of girl, I’d live and die in leggings, jeans and shorts however as I’m getting older and my style is changing I love dresses! I love this one for the print alone, it is quite unusual for me to like anything with such a bold print however because it is just 2 colours, it’s not scaring me as much. 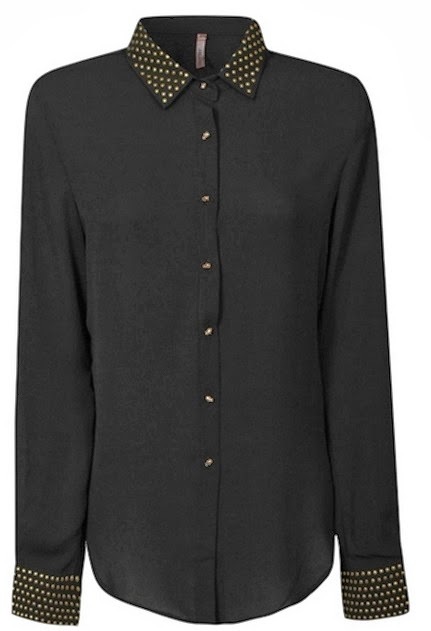 An outfit that springs to mind is this dress, my black leather jacket from New Look, black tights and some ankle boots. Again, not something that I would usually pick however I need to step out of my comfort zone and try out different styles and trends. However what attracted me was the gold studded collar and cuffs, also a detail that I didn’t notice until I read the write up was that the buttons we’re little skulls! Anything that is studded or has skulls on adds a hint of edginess to any outfit, even if it is just leggings and flats. 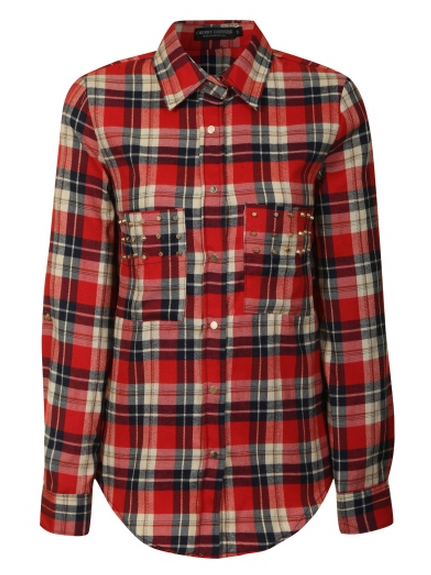 I have an absolute obsession with checked shirts and this one has studs on the pockets!! Which pushes it to the top of my favourite checked shirt list! My favourite way to wear checked shirts, especially red ones is with a beanie hat, leather jacket, leggings, and combat boots, I think it looks quite edgy and stylish but still comfortable!